I am in no way belittling the lower grades. I have the greatest respect for all of the ladies and gentlemen teaching in my building, and the greatest mentor I have had comes from the lower grades. In my version of classroom utopia, however, I would spend my days reading chapter books with my class and creating in class research projects to answer those burning questions my class often asks me involving 4th grade curriculum. NO WHERE in my utopia would I have tests that I could one day base my paycheck upon. Do I like benchmark tests to see growth? Yes, but I will most likely never see my state scores. How does light travel? Vicki will explain with her slideshow! Like every year, I have been plagued with the thought that my class isn’t ready for state testing. Isn’t inventive lessons and a years worth of work enough? Apparently not in my mind. This week, we have been cramming in review sessions on all of the facts we have learned within the year in every subject. I have found myself teaching more direct instructive review lessons than my conscious can handle. My district has given us a wealth of resources that I am thankful for to make review helpful and fun, but in reality my class is bored. Honestly, I am bored. This year I have raised the bar of how much life is in our class lessons and given the reins to my kids to investigate topics and create projects, “showing what they know”. This week the life has been taken OUT of my lessons. My solution is simple, “show what you know stations.” All year the students have been learning 4th grade curriculum. The use of a few apps will give me a clear picture of the facts students have taken in this year, and having students work in stations will allow for optimum time with individual students. 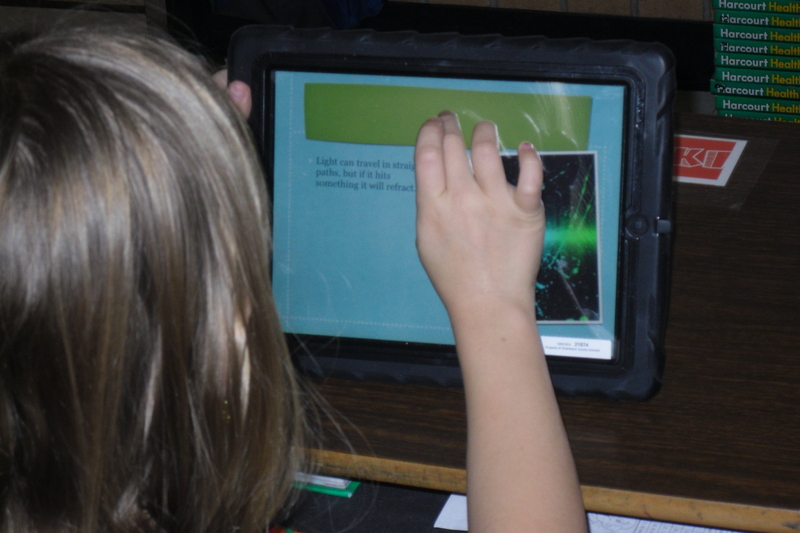 Explain Everything is a must have app that allows students to express their understanding of something. At one station, students create projects comparing the lives of people living in the North and South prior to the Civil War (See Jack’s below). 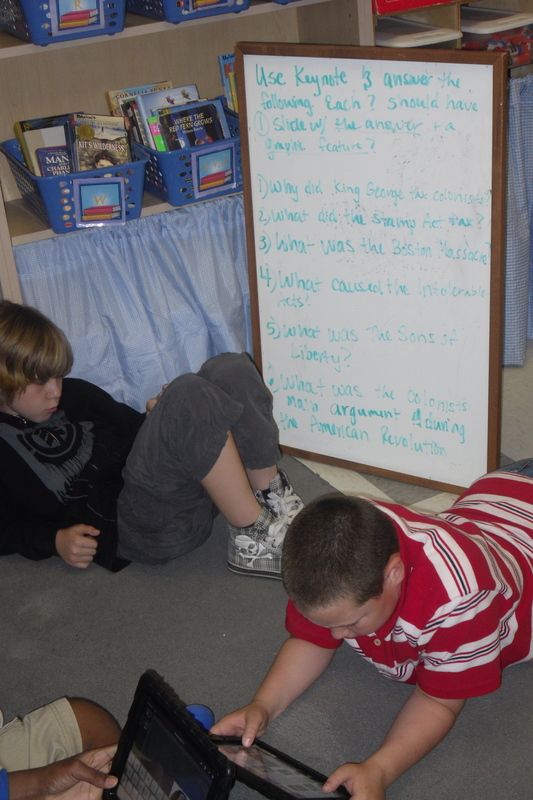 At another station, students have 10 questions on a white board they must research and create a keynote with a graphic features and answers to all of the research questions. The third station houses students going through the review packets the district has provided. This leaves me with only 7 kids to pull into a small group and clear up any misconceptions they may still have. While all of the other students in my class are answering questions through creating projects and some handy dandy paperwork, I can target specific skills my students still need help with. Does this require trust? Yes. Does it require some prep work and understanding of how to use apps? Yes, but the engagement and LIFE can be back in our lessons. 1:1 learning is back in action! No more standing in front of my class asking the review questions over and over again. Giving power to your students is powerful, and I am sure it will make a difference next week! I love this Billie Ann…what a great way for kids to have voice and choice in demonstrating their knowledge! Rock on sister! « Abolitionists and FREEDOM for your students!